Acabella was founded in 2001 by two friends who had recently moved to Darien and were eager to sing a cappella music, as they had done in college. The group was named Acabella, which combines the musical term, a cappella, which means unaccompanied by musical instruments, and bella, the Italian word for beautiful. The group is currently directed by Heather Raker, one of its founders, and Carolyn Woodberry, who has been singing with the group since its inception. 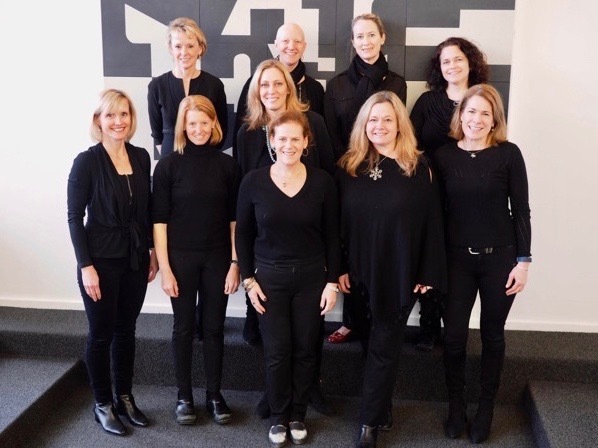 Acabella sings a capella at Darien Library this Sunday afternoon. Acabella presently comprises 11 women from the Lower Fairfield County area. Membership in the group is by audition, including musical exercises and a solo performance. Members’ musical backgrounds include singing in undergraduate and graduate a cappella groups and various choirs, as well as performing in musical theater, bands and coffeehouses (and the shower, of course!). Get a sneak preview of the latest hit exhibit from the Museum of Modern Art, Joan Miró: Birth of the World, at 7 p.m., Tuesday, April 30 in the Louise Parker Berry Community Room. — an announcement from Darien Library “You and all my writer friends have given me much help and improved my understanding of many things,” Joan Miró told the French poet Michel Leiris in the summer of 1924, writing from his family’s farm in Montroig, a small village nestled between the mountains and the sea in his native Catalonia. On Sunday, April 28 at 4:00pm the Darien Community Association’s Duo Piano Group will perform their spring concert, “A Spring in Your Step - Let’s Dance!” at 4 p..m., Sunday, April 28. — an announcement from the Darien Community Association Every melody dances – please join us for a “taste” of wonderful piano dance music.